The Academy of Super-Heroes universe, now in its seventeenth year with about three hundred issues and quite the cast of characters, can seem intimidating at first. But written in the style of comic books, there are arcs and series that hold up well on their own, without the need to read every story in sequence. The recommended reading order is more or less chronological, following the first graduate class at the Academy in 2022 to the current intrigues of 2026 (A Suit of Sables). For those interested in the full ASH experience, the Omnibuses break those events down into their respective arcs. But the list from that point onward breaks from the chronology, looking into the past (and sometimes the future) of the ASHiverse, including some standalone mini-series (Catman: Minor Arcana, WarStar, Beacon) and Andrew Burton’s delightful Lady Lawful & Doctor Developer vignettes, if you’re looking for some quick reads. I was a fan of the series before joining the ASH writers’ collective, and was very impressed with the work of the three main writers at the time: Dave Van Domelen (Academy of Super-Heroes), Matt Rossi III (Warden), and Marc Singer (S.T.R.A.F.E.). Dr. Dave Van Domelen created the setting, wrote Academy and Academy of Super-Heroes, and edited everyone’s stories. I learned from him the importance of Worldbuilding: know your world inside-out, how magic works in it and how science didn’t, and how history shaped the present. Although he had a vision of what fits in ASH universe and what didn’t, yet when we came to him with odd ideas, he helped us sand off their rough edges so that they worked. It helps that Dave is a physicist. To this day I still bounce plots and ideas off Dave to check if they’re self-consistent. I look to Matt Rossi’s work to learn how to write action. He impressed me greatly in the Warden series with his vivid action scenes, as I can always visualize how his scenes played out, and somehow he conveyed action with seemingly no wasted words. It came as no surprise to me that Matt would be the first among us to publish a book. Marc ‘Not the Beastmaster‘ Singer wrote S.T.R.A.F.E. I think I learned from Marc the importance of character. More than once had Marc taken characters that I created, understood what motivated them better than I did and pushed them beyond their breaking points in his own twisted plots…all the while keeping their actions consistent with their past, personalities, and failings. I’m grateful to them for welcoming me into their shared world and learning first-hand the art of collaborative plotting and writing. Next week: July 6th is a very important date in the ASH Universe, a day when everything changed. 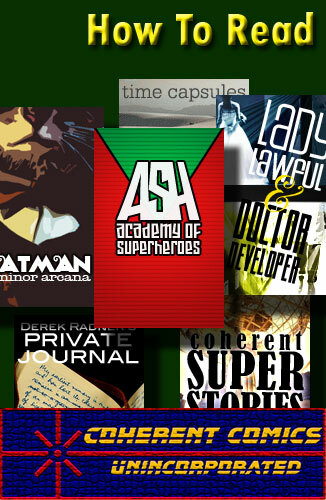 Guest blogger Dave Van Domelen will delve into the origins of the Academy mini-series.